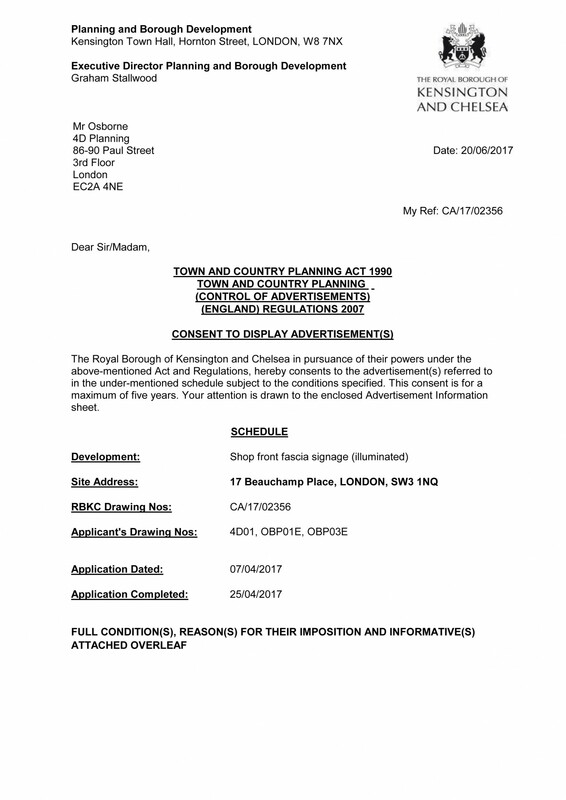 Advising client on planning feasibility of change of use, preparation of architectural drawings and signage, preparation of Design and Access and Planning Statement, submission of planning application for change of use and a separate application for advertisement consent for the shop sign and liaison with the council. 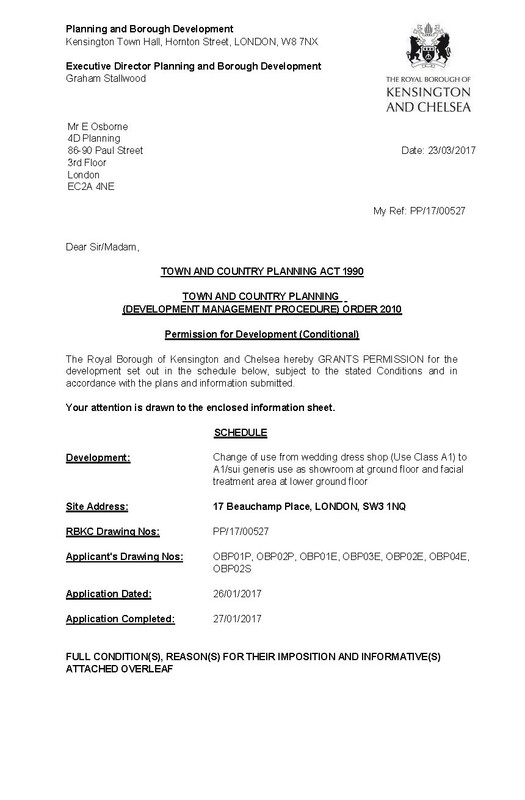 The applications were approved by RBKC (Royal Borough of Kensington and Chelsea). 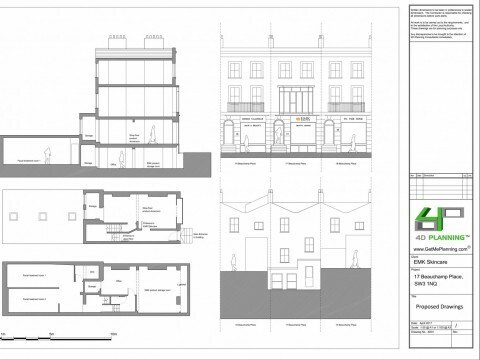 Our client was interested to take on the lease of a ground floor and basement commercial unit within a three storey Victorian terraced property. 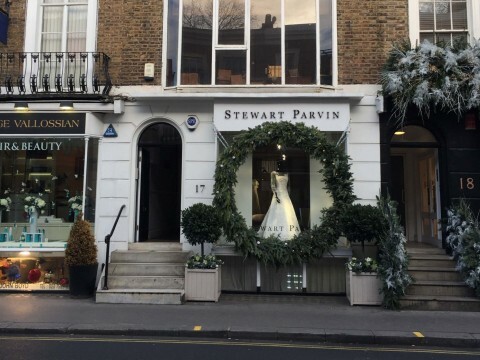 The ground floor was in use as a wedding dress shop. 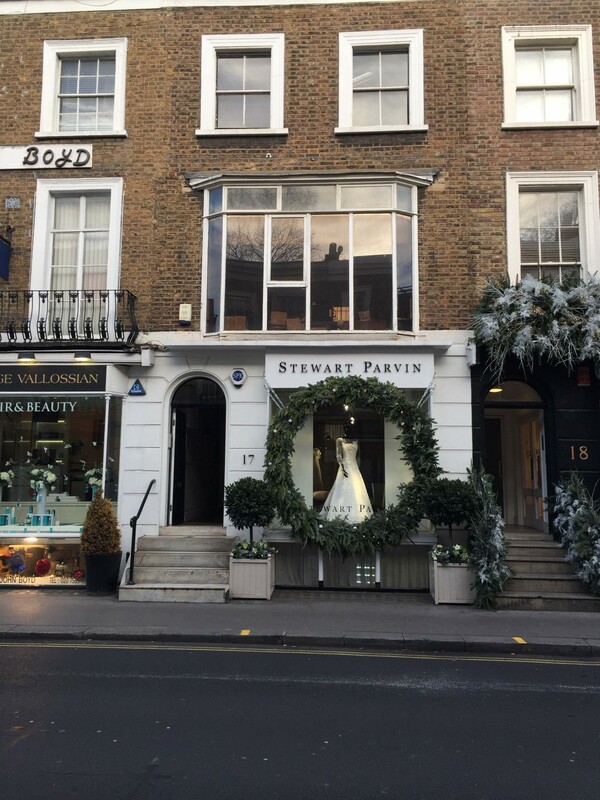 The application building is situated in the centre of Beauchamp Place, which lies within the south-eastern part of the London Borough of Kensington and Chelsea and directly by the boarder with the London Borough of Westminster. More specifically the property lies within the Knightsbridge area and is in a Conservation Area. 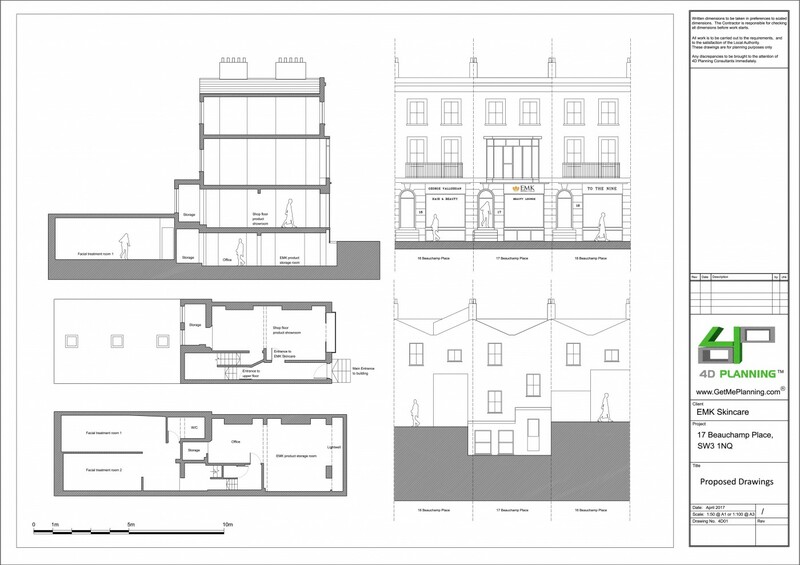 The proposal involves a Change of Use of the ground floor Wedding Dress shop (A1) to A1/Sui Generis Use for the use of the ground floor as a product showroom and the lower ground floor as facial treatment area with the small basement located underneath the lower ground floor to be continued to be used as an office space to serve the Showroom and the facial rooms. All of the ground floor itself will retain its A1 Use Class by being used as a product showroom where prospective clients will be able to enquire and purchase EMK Skincare products. The two services are complementary to each other and as such; the treatment area will enhance the viability of the showroom and vice versa. The Change of Use to Sui Generis Use is partial and refers to the lower ground floor alone to accommodate two facial treatment rooms and the basement will house a small office space for the manager who will look after the premises. Proposed facial treatments to be served within the premises will be facial treatments for the face using EMK products. The ground floor showroom will display the Company’s products and sales staff will service clients, whereas the small room under the basement will be used by the employees and the manager. Since the property was not vacant and there was no indication that there was a lack of demand for the current A1 use, it was important to highlight that the proposed use will be primarily A1 and the additional services will be ancillary to the A1. Therefore, the proposal includes an A1/Sui Generis use. 4D Planning advised the client on the strategy to achieve planning permission, but also advised on the use of the internal space, such as retaining the shop front for retail sales. 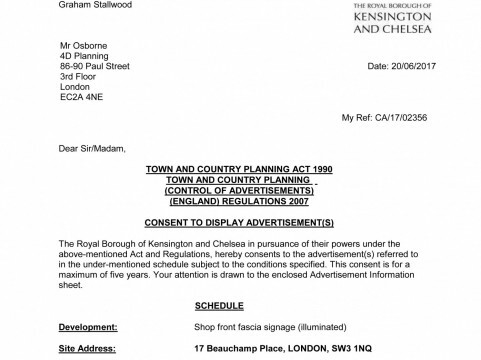 Once planning permission was granted we were instructed to obtain advertisement consent for the illuminated shop signage which was eventually approved.